The Jet City Farmer's Market in Everett, Washington was the place to be for those interested in ingesting foods laced with marijuana. The Samich (Savory Accessible Marijuana Infused Culinary Happiness) Truck is a converted school bus , painted hot pink and green, that offers a menu of delights that includes the self named Samich; nut butter, bananas, infused honey and jelly, Banh Mi, a Vietnamese pork delight, Truffle popcorn, and more. Each food contains up to 100 milligrams of THC, and combine high end recipes with high end ganja. The truck, said to be the first of it's kind to openly sell the marijuana meals, will be traveling across the roads of the Pacific Northwest, where it is absolutely legal to do so. Customers do have to be over 21, and no food that needs to be heated can be sold. Foods will be laced with marijuana by using a special extractor, where the magic happens. "Makes it easy to combine butter, oils and alcohol with any number of different herbs"
Yes, this is a thing. According to a Forbes interview with Garyn Angel, founder of Magical Butter, sales of the product were very good, with inventory often selling out. Angel claims that he will sell 70,000 this year. In the two states where selling medical marijuana is legal, selling medical marijuana laced food products is a grey area according to the law. 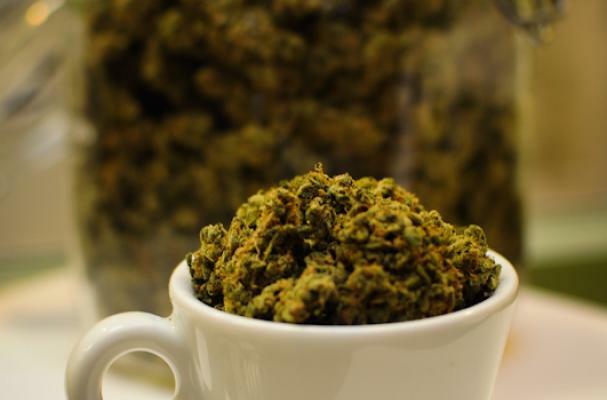 In July, 2014, the first 20 recreational marijuana retail stores will be licensed in Washington.